In cooperation with the General Directorate of Dubai Traffic, the Deanship of Student Affairs at Al-Falah University organized an awareness lecture in order to enhance the awareness of traffic safety among students. 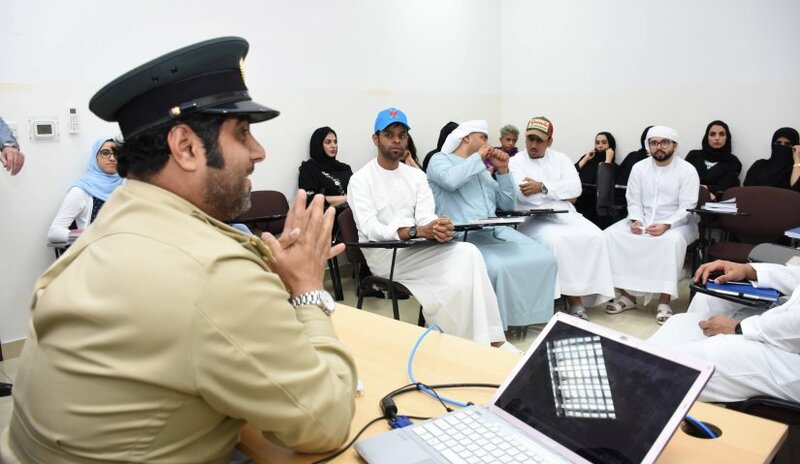 The lecture was presented by Lt. Hamdan Al-Muhairi, where he delivered a number of ideas and tips on traffic awareness targeting university students in order to clarify the seriousness of non-compliance with traffic law. Al Falah University aims to cooperate with the General Directorate of Traffic to exchange ideas that help to spread traffic awareness in the UAE community.